Calling for an Uber is how many people commute from home to work. It is not only a weekend fad. Knowing how to remain safewhile not overly worrying is a balance when Uber’ing. Tell someone that an Uber ride is on the schedule. Friend, family member, or spouse, someone should always know where the person taking an Uber is going. Buckling up should be a habit. If not, to promote safety when riding in an Uber, start making it routine. Do not be afraid to be a backseat driver. No one else will advocate for safety. It also keeps a safe space between the passenger and driver. Wait indoors when taking an Uber.It is safer and keeps someone from waiting on the curb for far too long. Check everything before getting into the vehicle. The license plate, make and model of vehicle, and a solid description of the driver before taking the Uber ride. The use of a nose comes in handy when first speaking to a driver.If alcohol is suspected, do not get into the vehicle. If a driver is stopped by police for suspicion of drunk driving, he/she can be prosecuted and convicted of DUI without a breathalyzer test. No one wants to be in danger, nor caught up in the arrest of a driver. Double check that is the correct car. Uber provides descriptions, so passenger safety is better kept. Be kind and give feedback. The driver depends on the tips. It is the passenger’s right to provide positive and negative reviews but leaving actual, constructive feedback much-needed. Much of the safety when Uber’ing has to do with inspecting one’s surroundings throughout the process. From the car’s make and model, to even the quality of the driver and vehicle is useful when carefully Uber’ing. Car services use different ways to signal they are available. Ideally, a potential passenger knows everything about their ride before it shows up, including any signifiers. Rideshare apps are meant to give consumers ratings and reactions to their Uber rides. 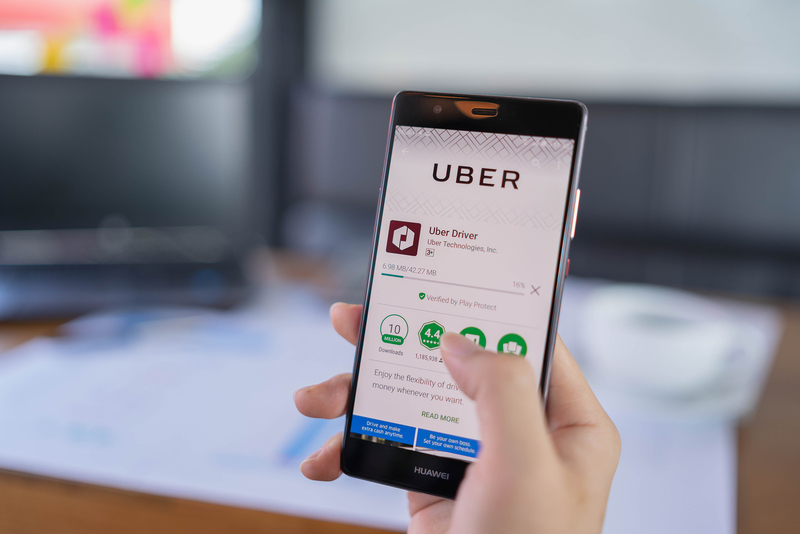 If no one knows an Uber is on its way, the app allows the passenger to share their status, and it includes, license plate, driver’s name, and exact to and from locations. Google maps or any other service that provides GPS mapping is a good thing even when Uber’ing. Put in the location and follow along with the driver to ensure the best route is taken and headed in the right direction. Group traveling is safer than going it alone. When solo, someone merely is statistically in more danger. It is not always possible to gather friends for an evening out, but when it is, take them up on sharing an Uber. Finally, the best gauge of what is safe and what perhaps is a danger is a person’s intuition. The gut feeling people get and often ignore, signals that perhaps the situation is not ideal. Follow through with that feeling. The media sensationalizes negative incidents when it comes to Uber. But, not without cause. Follow maps, but follow the inkling that something may not be right.